While single, twin and full-size mattresses may be ideal for young or growing children, they often do not offer the level of comfort most adults need. For instance, a full or full XL size mattress may accommodate two adults, however, it will likely not provide the leg room or body space each individual needs to be comfortable. Because many homeowners share a bed with their significant other, queen size or king size mattresses are often the smallest size mattresses they test out first. Although a queen will comfortably accommodate most couples, there’s one key reason why Mattress Firm recommends investing in a king size mattress for your Santa Fe home: family growth. A quality mattress can provide you with supportive, comfortable sleep for as long as ten years. In that time, your life can change drastically. A king size mattress is ideal for Albuquerque couples who expect to have children or pets sleep with them, providing everyone the space they need and the comfort they want. Why purchase a smaller mattress when you will likely upgrade in a few short years? Come to Mattress Firm and invest in the perfect king size mattress that will cater to your growing Albuquerque family! During a mattress sale, Albuquerque and Santa Fe homeowners can take advantage of low prices and special offers on some of the best mattress brands in the industry. Mattress Firm of New Mexico wants you to get the best deal on a new mattress which is why we’ve gathered five useful tips for shopping during a mattress sale. With so many mattress options, you want to make sure you take the time to select the one that’s best for you. If you’re considering purchasing a new mattress in the near future, begin testing models before a sale begins so that when the sale starts, you’ll already know which brand or mattress type is right for you. The first step to finding the right mattress is to test it in the store. You will need to lay the way that you would normally sleep to truly discover whether or not it will provide comfort for your sleeping position. Since each person has a different sleeping position and comfort level, it’s especially important that couples’ shop for their mattress together. Even if you and your partner require different levels of firmness, many mattresses companies offer models that cater to multiple sleepers. Low prices aren’t the only way you can get an exceptional value during a mattress sale Santa Fe. As you shop, look for brands that are reliable and will provide you with lasting comfort for many years to come. Where you purchase your mattress is just as important as the mattress you purchase. Shop with a mattress dealer that offers benefits like a low-price guarantee or a trial period in which you can return the mattress if it doesn’t give you a perfect night’s sleep. At Mattress Firm of New Mexico, finding the perfect mattress is easy. Visit us in-store or online to learn about our amazing mattress sales that will get you the affordable mattress of your dreams. You shouldn’t lose a single night of sleep searching for a new king size mattress for your New Mexico home. Mattress Firm has the right king size mattress Albuquerque and Santa Fe homeowners need to wake up feeling rejuvenated and refreshed each morning. We have a wide selection of king size mattresses from the leading brands in sleep innovation. A king size mattress will be the crowning jewel of your bedroom. Though it is the same length as a queen size mattress, it adds an additional 16 inches of width for maximum comfort. Those who sleep with a partner will enjoy a peaceful night’s rest without disturbing one another. It even has enough room for a small child or pet to share in your slumber. The firmness of a mattress and your sleeping position must be compatible for you to enjoy a restful night of sleep. Back sleepers may require medium firmness; however, side and stomach sleepers may need a softer material like a memory foam mattress. The firmness of a mattress can also impact your level of physical discomfort. Those who may have problems like joint pain or lower back issues may need a firmness level. Ask your physician for a recommendation on which mattress material may be best for your body. Depending on the materials and technology used to design the mattress, your bed may last anywhere from five to ten years. You want to choose a mattress that’s comfortable but also resilient enough to last you close to a decade. Mattress Firm of New Mexico has the best mattresses from the leading brands. All our mattresses come with a 120 Night Sleep Trial and 120 Night Low Price Guarantee. Shop in-store or online today to find the perfect king size mattress Santa Fe and Albuquerque homeowners rely on for a great night’s sleep. Choosing a new mattress can be an overwhelming task. With so many brands, sizes, and types of beds out there, many people may be unsure how to even begin searching for the right replacement mattress for their child. Mattress Firm New Mexico, Albuquerque’s number one mattress dealer, is here to give you all of the information you need to help you pick out a new twin mattress that your child will enjoy for years. The best way to pick out a new mattress for your child is to think of Goldie Locks and the Three Bears. A crib or toddler size mattress is too small. A full mattress is a little too big. A twin mattress is just right. At 38in wide by 75in long, twin mattresses are the perfect size for most children. For kids who are taller, a twin XL mattress provides extra length without additional width. What firmness does a twin mattress need? Firm mattresses provide more stability and are good for kids transitioning to their first beds or those who sleep on their stomach. Older children tend to want a more comfortable mattress. Plush mattresses are great for side sleepers and kids who want the soft, pillow-top cushion. Where should I buy a twin mattress in Albuquerque or Santa Fe? You should purchase a mattress from a dealer that provides two essential promises: low price guarantees and a long trial period. A reliable mattress dealer will not only give you the best price for your bed, they’ll also allow you to test it out for a few months to make sure it’s the right mattress for you. Mattress Firm New Mexico has a variety of twin mattresses in Santa Fe & Albuquerque that provide comfort and support to sleepers of all ages. All of our mattresses come with both a 120 Night Low Price Guarantee and a 120 Night Sleep Trial. Don’t let your child lose another night of quality sleep! Stop by Mattress Firm New Mexico and let us find the best twin bed for them today! When the time comes to choose a new mattress, you want to make sure you select one that can provide you with comfort for years to come. As the preferred dealer of full-size mattress in Albuquerque and Santa Fe, the experts at Mattress Firm are here to ensure you pick the perfect new mattress for your bedroom. We’ve identified three key characteristics that we believe you should consider prior to your purchase. 1. Understand the four mattress types and five levels of comfort. Innerspring, foam, air, and hybrid are the four types of mattresses. These mattresses can range in comfort levels between firm and ultra-pillow top. The level of firmness will determine whether your mattress makes you feel like you’re sleeping on a carpeted floor or on a fluffy cloud. 2. Know your sleeping position. When selecting the full-size mattress type and firmness, it’s good to know your sleeping position. For instance, stomach sleepers may benefit from firmer mattresses while side sleepers will enjoy a more comfortable night’s rest on a plush bed. 3. Look for mattresses that offer money-back guarantees. It’s impossible to lay on a bed in a store and instantly know that it will provide you with the comfort you need. Always shop for a mattress that allows you to return it after a couple of months if it’s not giving you the support you desire. Mattress Firm New Mexico can help you find a full-size mattress in Albuquerque or Santa Fe that suits your needs perfectly. We carry a variety of mattress types produced by the brands you know and trust. Stop by our store and browse our unbeatable selection of models from brands like Sealy, Serta and more. We’ll deliver your new mattress right to your door, and if it doesn’t provide the comfort you need, return it within 120 nights and you can exchange it for a new one. Don’t lose another night’s sleep! Trust Mattress Firm in Albuquerque and Santa Fe to provide you with the best rest you’ve ever had! If you’re sleeping on an old mattress that keeps you up at night, let New Mexico’s number one mattress retailer help you sleep soundly. Mattress Firm in Albuquerque & Santa Fe has been helping families save money and sleep happy for over twenty years. We can offer you the lowest prices on the biggest brands in the industry without ever leaving your home. You can get the same great sales online. Don’t worry — the best price breaks for mattresses aren’t only available in stores! Mattress Firm features the lowest prices on your favorite brands online, allowing you to save time and money when choosing a new mattress. You’re guaranteed to like it, or you get a full refund. We know you can’t really get the feel of a mattress without sleeping on it. That’s why we provide all our customers with a 100 Day Happiness Guarantee. This trial period gives you just over three months to discover which mattress is right for you. You get top-notch delivery service. We don’t want you to lose another night of sleep, that’s why we offer same day and next day Red Carpet delivery. Our friendly delivery team will roll out the red carpet and slide on sanitary blue booties to protect your home while they set up your new mattress set and remove your old one. You don’t need to travel far to find a comfortable and affordable mattress. In fact, you don’t even need to leave your home! Mattress Firm New Mexico offers a wide selection of high-quality mattresses. Also, check out our website for mattress sale in Santa Fe and Albuquerque. We are New Mexico’s #1 mattress retailer that promises to save money and sleep happy. You can’t perform at your best without a restful night’s sleep. Unfortunately, many people still toss and turn every night due to sagging or stiff mattresses. Don’t settle for poor sleep any longer! Families across Albuquerque and Santa Fe are discovering how Sealy’s collection of mattresses can improve your quality of sleep. Mattress Firm carries the Sealy mattress Albuquerque and Santa Fe’s residents need to wake up feeling rested and refreshed. Why should you choose a Sealy mattress? At least half of your body weight rests in the middle of the mattress. A lack of adequate back and core support could lead to a night spent constantly adjusting to new sleeping positions just to get comfortable. Thankfully, Sealy mattresses feature innovative Posturepedic Technology that provides targeted support where you need it the most. Their three distinct mattress lines offer varying levels of comfort for all sleeping positions. 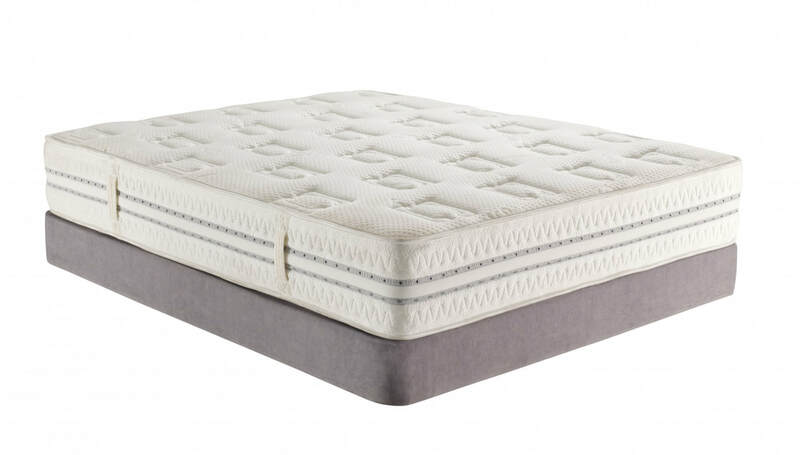 The Response Line of innerspring mattresses utilizes additional foam in the center of the mattress quilt to provide you with fantastic support that holds you while you sleep. The Conform Line of memory foam mattresses includes denser memory foam within the middle of the top layer that reinforces support to hug your body. The Hybrid Line of mattresses uses more memory foam and spring coils to hold and hug you, providing maximum support throughout your sleep. Sealy’s unique integration of foam, memory foam and gel foam enable their mattresses to provide cushioning and reinforcing support throughout the center of the mattress. From twin to California King sizes, their mattresses are available in firm, cushion firm, plush and ultra-plush options. After just one night in your new bed, you’ll instantly realize why the Sealy mattress Santa Fe and Albuquerque homeowners have trusted for years is perfect for restoring your sleep. Are you tired of tossing and turning on your old mattress? Then stop by Mattress Firm New Mexico. 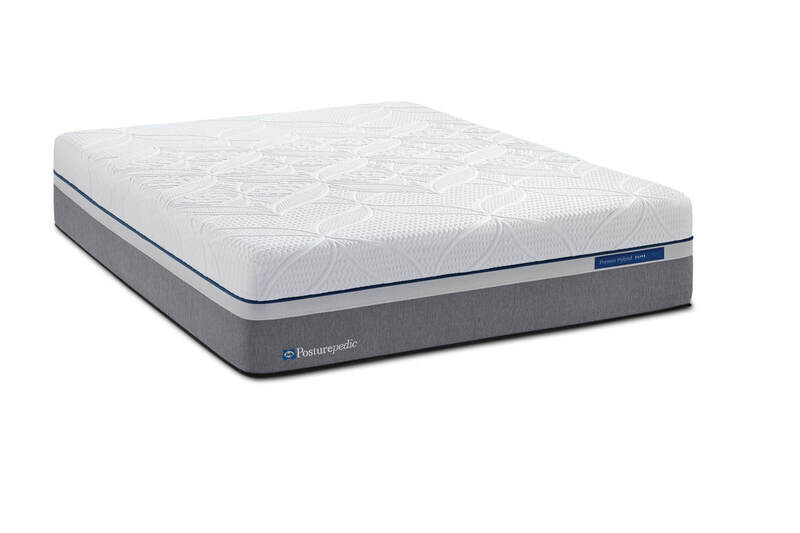 We have a wide selection of Sealy Foam mattresses featuring Posturepedic Technology that provides the support you need for a comfortable sleep. How Tempur-Pedic Mattresses are Worth the Investment? The Tempur-Pedic took the world by surprise when NASA researcher’s first developed the material that would cushion aircraft seats and survivability. That has changed since its original introduction and the popular brand now sells more mattresses than anyone on the market. The mattress foam is robust and dense. Like we mentioned earlier, they are built to last. The material senses the body's temperature and adapts to fluctuating body sizes and weight. The material evenly displaces weight over the surface of the mattress, which promotes better overall circulation. The Tempur-Pedic mattresses also help to keep the spine in alignment and relieve back pain and discomfort. No box spring or springs. The foam provides more stability and reduces pressure points from springs. This is very beneficial for a side-sleeper and makes going to bed an extraordinary experience. If you sleep with another person you can’t feel the movements. The stabilizing effect of the foam distributes the weight and prevents the mattress for movements that would awake your partner. This is very beneficial for people who often move throughout the night. Wake up feeling rested. Having a comfortable and restful mattress promotes good sleep and allows customers to awake more rested. Tempur-Pedic mattresses are known not to sag. This can help consumers extend the life of their mattress. This also improves customer satisfaction which is a win-win! Mattress Firm of New Mexico strives to help guide our customers towards the smartest mattress investment. 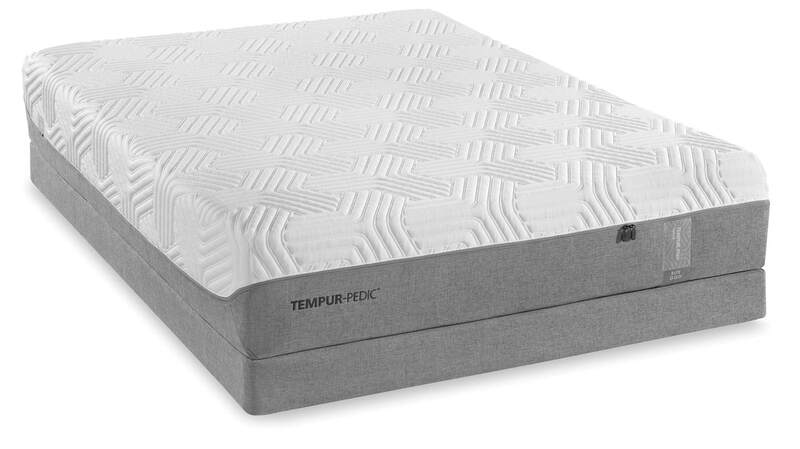 We have a wide variety of Tempur-Pedic mattresses to choose from at any one of our locations around town. If you’re in the market for Tempurpedic mattress in Santa Fe or Albuquerque, look no further than Mattress Firm. What is the Best Mattress Size for Sleeping? Comparing mattress sizes can be confusing when buying a new mattress. Since there are so many different mattress sizes to choose from this can often be a difficult decision. If you purchase a mattress size that is too-big or too-small this could be a costly mistake. If you’re in the market for a new mattress and searching for different mattress sizes in Albuquerque or Santa Fe, Mattress Firm will guide you to understand mattress sizing and which mattress suits best for better sleep! A twin mattress is the smallest choice available. A twin bed measures 38 inches wide and 75 inches long. A twin mattress is a great choice for children who have outgrown their crib. A twin mattress is a great size for a small day room or guest room. A full-size mattress measures 53 inches wide and 75 inches long. This mattress is only a little wider than a twin and is ideal for one person. Full mattresses are a tight fit for two people. This is a great starting mattress for parent who want to start their kids in something they can grow into. A queen mattress is a popular mattress size for couples. Measuring 60 inches wide and 80 inches long, this mattress provides adequate space for comfortable sleep. This is a great mattress size for single sleepers who prefer lots of space. A king mattress provides a couple lots of space when sleeping. Measuring 76 x 80 inches this mattress size provides the most personal space while sleeping. Mattress Firm makes selecting the perfect size mattress easy. If you’re looking to shop for mattress sizes in Santa Fe or Albuquerque, look no further than Mattress Firm New Mexico. Shop our online selection or visit one of our many locations around town today to find your perfect size mattress and the best sleep yet. Our team of dedicated experts will help you select the best mattress size for your most comfortable sleep. Over the last couple years, online purchases have become more and more popular. As customers can now conveniently make secure payments from the comfort of their home. Mattresses buying online has become a popular trend. There may be a few benefits when buying online but there are certain things that every customer needs to look out for. If you’re searching for a mattress online, look-up Mattress firm in Albuquerque or Santa Fe to get more information on things to consider when buying a mattress online. Budget: Since you’re in the market to make a big purchase, you need to know how much you want to spend on your new mattress purchase. Size: Basic mattress sizes include twin, full, queen and king mattresses. Understanding the use-case and the size you need is important before shopping online. Comfort Level: This is an important factor to consider when choosing a mattress because it will impact your sleep. Mattress Firm offers a system that categorizes comfort level, so you can shop easily. Reliable Brands: Mattress Firm has a wide range of the most popular mattress brands including Serta, Beauty rest, Hampton &Rhodes etc. You can easily shop top brands on the Mattress Firm in Santa Fe or Albuquerque. Customer Reviews: Customer reviews is a great way to engage with previous customers and get an idea on the sales experience. At Mattress Firm we are customer centric and customer satisfaction is important to us. Online shopping at Mattress Firm takes away the anxiety of shopping online. We want our customers to make informed decisions when buying a mattress online. Our live chat and shopping styles on our Mattress firm in Albuquerque and Santa Fe are there for our customers to explore options. Visit our Mattress Firm website to shop and filter by size, top brands, comfort levels, mattress type and budget! Mattress Firm of New Mexico is committed to making a mattress purchase stress free and we’re committed to your happiness. We believe you need to sleep on your mattress to decide if it’s right for you! If you’re not completely satisfied after the recommended 100 day trial period, we return 100% of your money (subject to delivery fee). Mattress Firm is committed to helping you find the right mattress and we’re committed to your happiness. Our promise is simple: Save Money, Sleep Happy™.